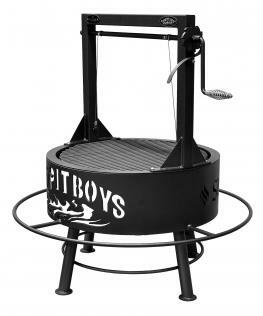 This universal grill rotisserie kit is for applications with an existing motor or those looking to customize with a motor different than those offered in our prepackaged kits. 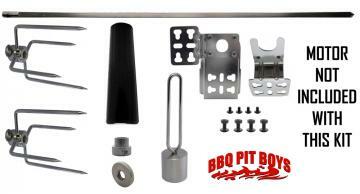 With a 28" x 5/16" square chrome rotisserie rod, this kit is ideal for grills and applications up to 22" in width. 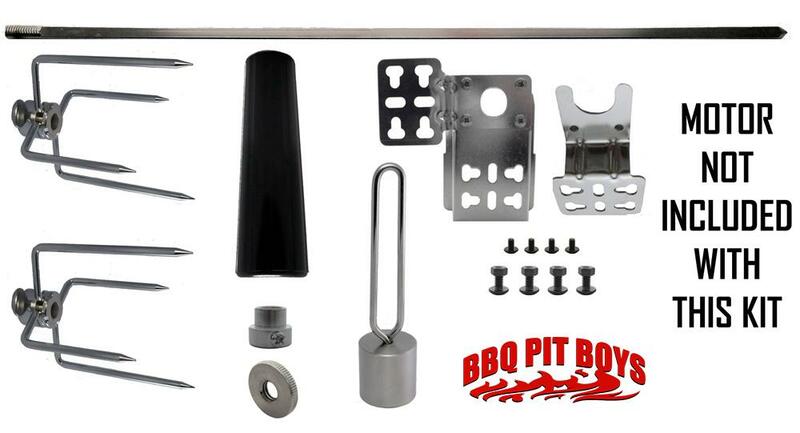 This kit comes complete with a set (2) chrome plated four prong offset grill rotisserie forks, a chrome plated rotisserie bushing, a chrome plated counterbalance system, a chrome plated bracket set with a safe offset to protect your motor from heat, and a high quality insulated handle. Please note the entire spit rod length is 28" with a 5/16" square drive common to most motors available and a threaded end to accommodate the usage of a counterbalance system and handle (included). 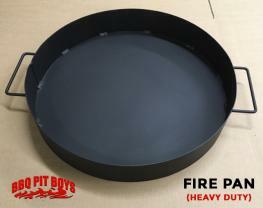 All plating is double food safe chrome plating for easy clean up and extended life. 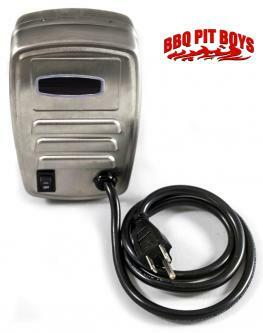 Designed as a replacement or upgrade to existing grills with motors.